Considered one of the biggest and most star-studded music festivals to ever take place, The Isle of Wight Festival in 1970 featured Jimi Hendrix, The Who, Miles Davis, and many more performing in front of over 500,000 people. One of those legendary acts, The Doors, has just released a recording of their complete set in video and audio formats. Stream above on Spotify. Taking the stage around 2 AM, the band would give an electrifying performance that included their hits "Break On Through" and "Light My Fire." The audience was treated to an intoxicating version of "When the Music's Over" and a hypnotic version of "The End" to close out their set. Roger Daltrey offered Jim some peppermint schnapps, and he didn't have any... I thought, 'Whoa, that's different' – the chemistry was there. Some nights Jim would get a little more, how should I say, possessed... It wasn't like that that night, but there was a feeling. This would be the last filmed performance of The Doors as Jim would pass away in July, 1971, giving it some added historical significance. Sadly, we'll never know what the band could have accomplished with more time, but at least we still have these great recordings to remember them by. 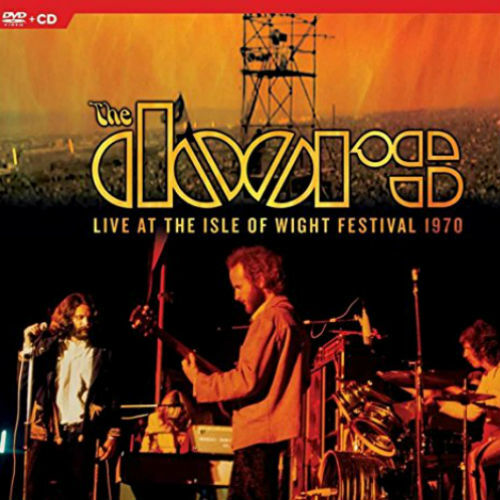 Pick up the band's Live At The Isle Of Wight Festival 1970 on Amazon. For more, check out The Doors Zumic artist page.